Garnier always had been my favourite company for the scent. I find the scent very fresh. When I was younger I always had Garnier or L'Oreal face wash. When buying this product I had decided to try out the whole range, the Day Cream and Face wash. 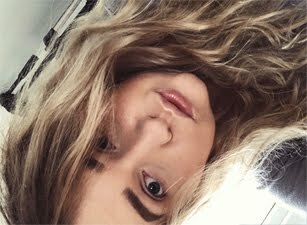 I loved the cream will defiantly repurchase, as I had run out. The Face wash is okay, but it's nothing amazing. I mostly love this product for the smell, my skin feels really fresh after using this. As it's a toner it won't remove your make-up completely. 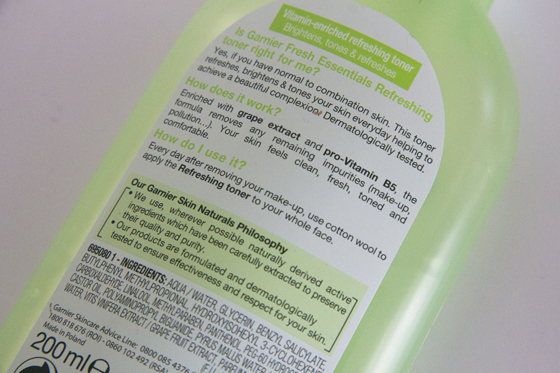 You should normally use a toner after cleansing your face. I like to use it in the morning to refresh my face. It's absorbs to the skin very fast, so you can apply face cream straight after using this. It won't leave your skin with shines. It does contain perfume, so you need to be careful about that, as I'm aware perfume ingredient may break you out. This product didn't break me out. Would I repurchase this? Maybe, but for now I won't, I have to many products that need using up before I will be able to buy something new. Overall I do think it good, the price isn't that bad. This toner has last me for around 2 months. I use the Liz Earle but this looks for refreshing and for 4 quid how can you go wrong? 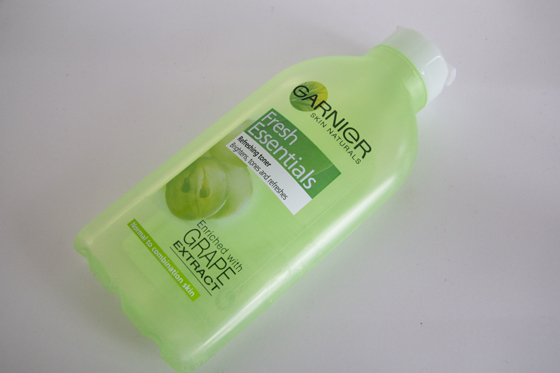 I actually love Garnier products, they smell really gorgeous and fresh!